Sunflower sprouts are delicious, nutty, and full of flavor - you can sautÃ© them with soy sauce and toasted sesame oil, put them fresh in salad, or put them in a sandwich. You can make butter out of the seeds, eat them roasted and salted, or turn them into bird food. 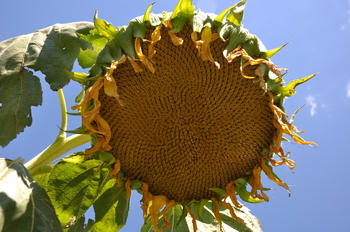 According to the National Sunflower Association, the sunflower market was valued at $450 million dollars in 2009. 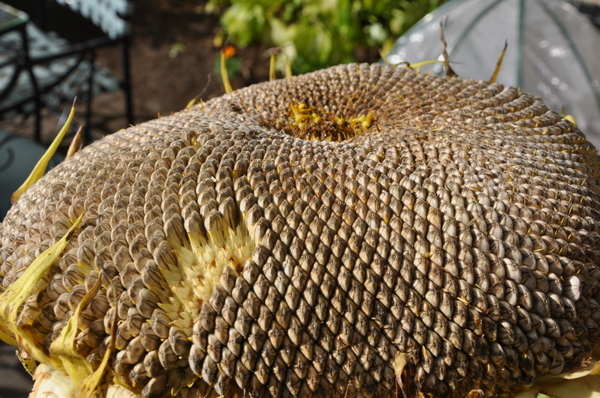 One sunflower head, if you are growing a large one like the Mammoth varietal, can provide 200-400 seeds - which can all be sprouted. A packet of 20 Mammoth sunflower seeds costs $3.95 (let us say $4). Each seed therefore costs $4/20 = $0.20. Living life with the seasons is a powerful antidote to the culture of immediate gratification, and for the most part I am content to wait - but sometimes, when I think of all of the sunflowers I could have grown this year, that it is going to take 12 months to get here again, had I only known about this in May, that I really love sunflower sprouts - I am not content to wait.